In this article, I will prove to you that no matter what you hear – we are still in a recession and have not started to recover. Usual economic graphs would have a bottom. In this case, our bottom is a plateau. The same is true around the world. There is way too much uncertainty, risk factors, and negative reports to leave any hope of recovering from the worldwide economic downturn. 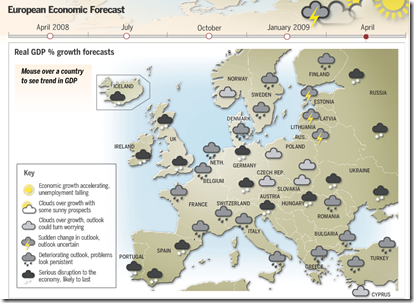 By now, most countries in Europe are plagued with high unemployment, national debt, and budget deficits. Problems in Greece combined with the possibility of Greek like problems drove the Dow Jones to record drops today. Investors fear that the bailout won’t help Greece and that other countries – namely Portugal, Spain, and Ireland might face similar problems in the very near future. Credit downgrades have already made it hard for these countries to find much needed cash. 2) Unemployment has remained stagnant worldwide and employers are not hiring. Unemployment is still hovering around 9.2-9.4% and underemployment around 16.5%. 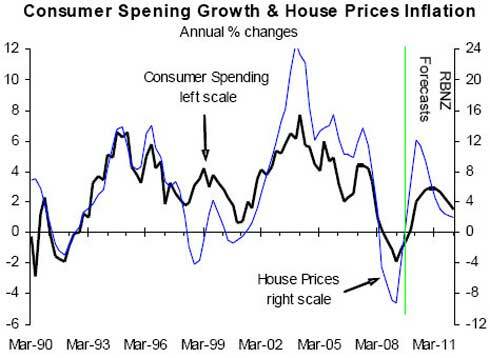 3) Consumer spending is barely up, if at all. Every month or quarter, I read a report that consumer spending is up by a small single digit percentage compared to this time last year. At first glance, this is great news and investors often buy up tons of stocks in a frenzy (especially in the consumer goods sector) when this news is released. This is all great, except for one thing: consumer spending was at record low levels in 2008 and 2009 – why are we delighted at single digit increases? It’s kinda like jumping in joy that the government of Bhutan recorded a 22% increase in 2008. With such low comparisons, double digit increases must be the only sign of recovery. Add it up - are we still anywhere near 2007 levels? Not at all. 4) The Stock Market is in Shambles and the Feds might make big changes to how trading is done. After 9 great weeks, one of the largest selloffs took place this week, capping off on Thursday with the Dow Jones dropping by over 1,000 points (~10%) one and a half hours before closing. Fortunately, some gains were made after that point and the Dow Jones closed losing only 347.80 points (3%) in the worst day since February 2009. Now, why would there be a day so bad if the economy was really recovering? Surely, this didn’t happen in other recovery periods. One reason: the economy is not recovering. We are very volatile and won’t maintain steady growth for another 6 months. All signs point to volatility. For example, Ford, one of the companies that I invest in, reported all kinds of positive signs (less debt, more profit, more sales, etc) this past month, but shares fell rapidly. What I’m trying to say with this post is simple: be careful with your money. We are still in a recession and your hard earned dollars should be kept in close and trustworthy investment options. Don’t squander away your earnings. Well written and totally logical. Our nation and our world is very economically fragile. What has happened in Greece should teach us some lessons at the national level, but I have little confidence we will listen. However, maybe with enough posts like this one, we can individually take the lessons to heart. Without sounding like an alarmist, the time to wake up is now. Why do you think things will be significantly better in 2011 (i.e. that we will see a real recovery and not an inflationary recovery)? On the other hand, check out the BRIC countries. Strong growth even through the recession. Well, in the article, I said that things won’t get better until at least 2011. I am trying to say 2010 is going to be another volatile year. BRIC countries have been showing strong growth even through the recession, but their growth rates have declined. These countries also have higher inflation, so their GDP rate must be adjusted for this inflation. For example, China was showing like 8% growth in 2008, but the feds were complaining that they need at least 10% to be actually ‘growing’ – hence the half trillion bailout in their country.